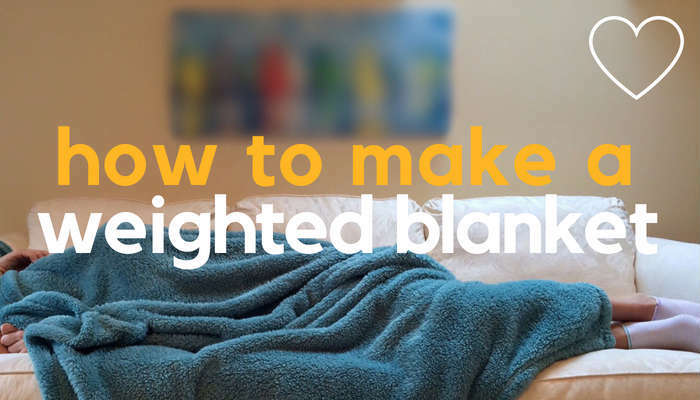 If you’re wondering ‘what’s the best fabric for weighted blankets’, this article will help. 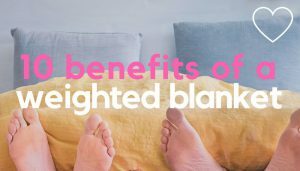 Along with the weighted blanket filling & size, it’s one of the most important factors to consider. For example, a warm, tactile Minky Dot fleece blanket may work well for a sensory seeking child. But for someone suffering from night sweats, a 100% cotton or ‘cooling’ fabric may work better. 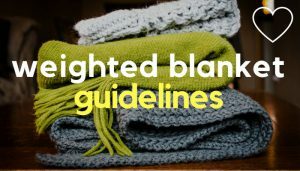 So, to help you find the best fabric for you, or your child, here’s a summary of the most common fabrics used to make weighted blankets, with some pointers on the type of person each one ‘tends’ to work well for (there’s never a ‘concrete’ rule of course). Cotton is a common & popular fabric used in weighted blankets. A natural fibre, cotton is durable & easy to care for. It’s also smooth to the touch, making it a good option if you tend to avoid more tactile fabrics such as fleece or velvet. Cotton is also more breathable than synthetic fabrics, so doesn’t tend to feel as hot. So as long as you keep the room at a cool temperature, the cotton will reflect this & help release excess body heat into the air. Organic cotton weighted blankets, whilst not as common, are also available & these can be a good option if you’re concerned about the presence of chemicals in your fabric. Some cotton weighted blankets include a polyester mix – so keep in mind polyester is a manmade fabric & less breathable than cotton, so look for 100% cotton weighted blankets, if cotton is your preferred choice. children & adults who are sensitive to touch/prefer less stimulating fabrics. 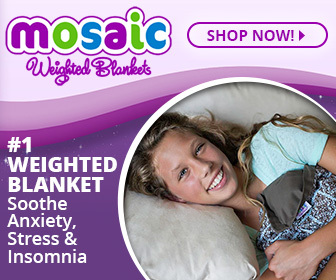 These weighted blankets for kids & adults include some popular cotton options. For organic weighted blankets, check out these. Modern plush fabrics such as flat or Minky Dot fleece are commonly manufactured from synthetic polyester. Plush fabrics are durable & retain heat well. They are also soft & tactile to the touch. This often makes them a popular choice for sensory children, or adults, who are under responsive to touch & seek out extra sensory input. For example, a child with a sensory processing disorder (SPD) who craves tactile stimulation. Fleece weighted blankets may also be a good choice for older people who feel cold easily. Another factor to consider is that synthetic fibres, such as polyester fleece, don’t breath well & trap moisture & sweat close to the body. This generally makes them a less comfortable option for warm sleepers or hot climates. children & adults with an SPD who are under sensitive to touch & seek out tactile input. Here are 3 popular weighted blankets for children that use Minky Dot fleece fabrics (adults versions are available as well). Are you a hot sleeper? There’s little point investing in a weighted blanket if you end up throwing it off in a sweat, as you won’t receive the full therapeutic benefits you’re looking for. 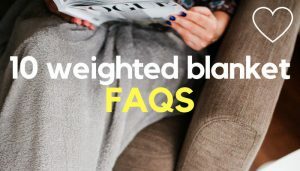 So a third option is a ‘cooling’ weighted blanket, which is made from a fabric specifically designed to wick moisture away from the body, helping to keep you cool & sweat free. Cooling weighted blankets are generally made from a bamboo derived or COOLMAX fabric. Both help you maintain a core body temperature, so you can sleep more comfortably year round, without over-heating. Here are 3 popular ‘cooling’ weighted blankets designed with hot sleepers in mind. 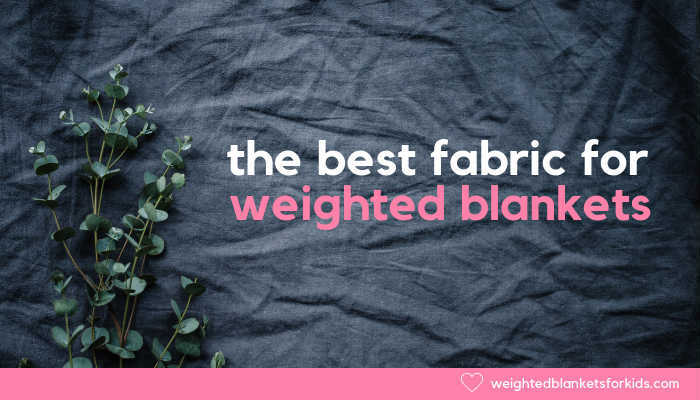 Although not as common as other weighted blanket fabrics, flannel is another fabric to consider. Typically made from wool or cotton (although it can sometimes still use synthetic fibres, so check product details), flannel is a loosely woven, brushed fabric that feels soft & lightweight to the touch. It’s also a good insulator. So if you like to be warm, flannel can be a good alternative to synthetic fleece, as the ‘fuzzy’ brushed fabric traps air in little pockets, keeping body heat in and cold air out. Cotton fabrics tends to work well if you prefer to sleep at a certain temperature, run warm easily, or are over sensitive to touch. Plush fleece fabrics are both soft & warming & tend to work well if you’re not overly sensitive to heat or enjoy soft, tactile & cosy fabrics. ‘Cooling’ bamboo or COOLMAX fabrics are a popular option for hot sleepers or those in warm climates, as they’re designed to help you enjoy the benefits of a weighted blanket, whilst remaining cool. 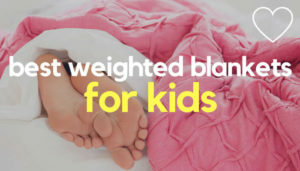 Welcome to Weighted Blankets For Kids – a resource for people seeking information on weighted blankets for children (& adults) with sleeping issues, autism, ADHD, SPD or anxiety. Weighted Blankets For Kids is a participant in the Amazon Services LLC Associates Program. 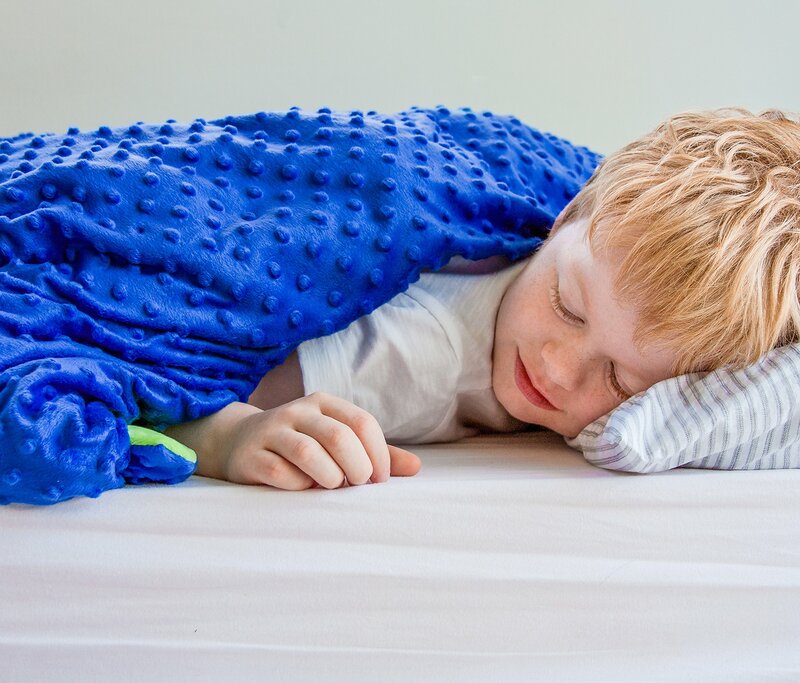 Weighted Blankets For Kids is a participant in the Amazon Services LLC Associates Program, an affiliate advertising program designed to provide a means for sites to earn advertising fees by advertising & linking to Amazon.com, Amazon.co.uk & other Amazon sites worldwide. 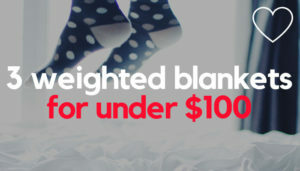 This site may also earn advertising fees from other affiliate sites such as Shareasale.com. Content on Weighted Blankets For Kids is for information purposes only & not intended or implied as a substitute for professional medical advice, diagnosis or treatment. Always consult a medical professional regarding any health condition or before using a weighted aid for treatment of a specific disorder. Read full disclosure.